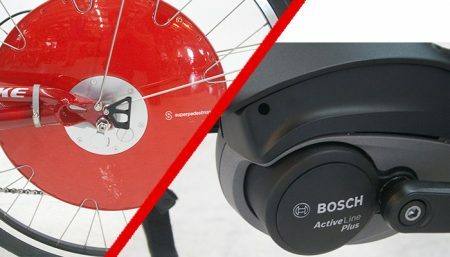 BionX Electric Bike Motors Make you feel like the Bionic man! BionX entered bankruptcy in January 2018. I’m afraid they may not be back. 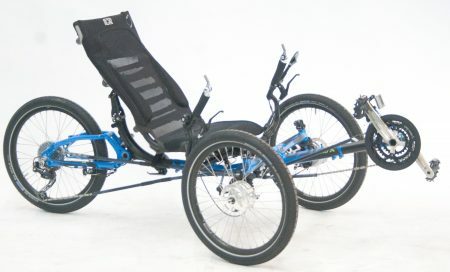 We keep a recumbent set up with the BionX motor, come try it! 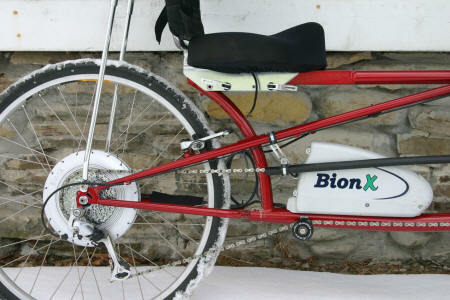 Call to see what bike we currently have with BionX for test rides. 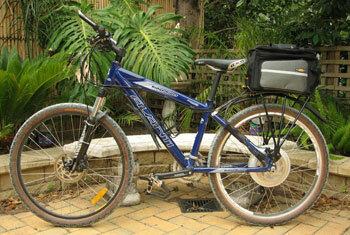 About our BionX battery electric test bike. 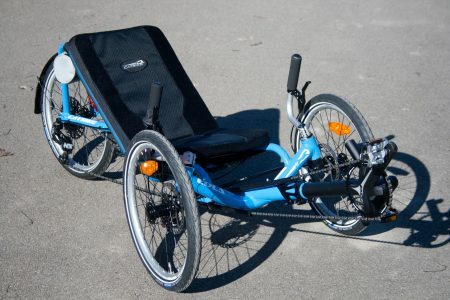 It is comfy, easy to get used to, inexpensive and fits a wide range of riders. 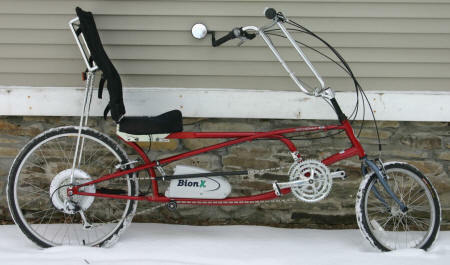 It is not light or fast, features not required for a BionX test bike. 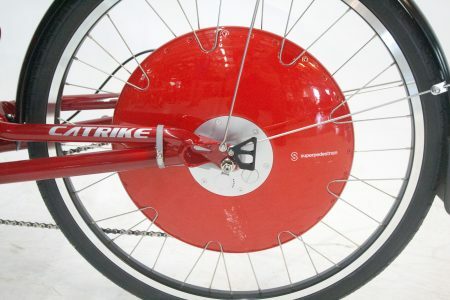 It makes a comfy but pretty mundane bike fun! Just wanted to say thank-you for sending over the kit. It works really well and I have attached a few photos so you can have a look.